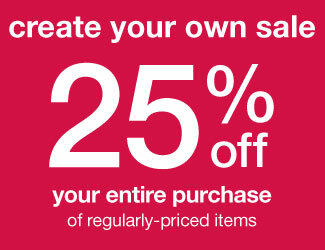 A Day Late and A Dollar Short: Family Christian Stores - 25% Off Your Entire Purchase! Family Christian Stores - 25% Off Your Entire Purchase! Visit the Family Christian Store website to print out a coupon good for 25% off your entire purchase of regularly-priced items. ...or if you prefer to shop on-line, make sure you use the coupon code 125743340 and shop through Mr. Rebates for an additional 4% cash back!